Happy Friday! Dare I ask who's ready for the weekend? This week has felt longer than usual and I know that is in a large part due to some rogue dogs causing mayhem at night. But, it's Friday so let's have some fun! Here are my Move.Eat.Live. moments from the week. I had some pretty good training runs this week. Tuesday I got in 6 400s then knocked out my leg workout at lunch. Hello tired legs. I got in my upper body splits on Monday and Thursday but will admit that I am being negligent of chest workouts. Wednesday I took it slower and easier as recovery and also because I knew Thursday would entail a speedier run with my crazy running buddy. We enjoyed 8-miles meandering through the 'hood switching up from our usual route. 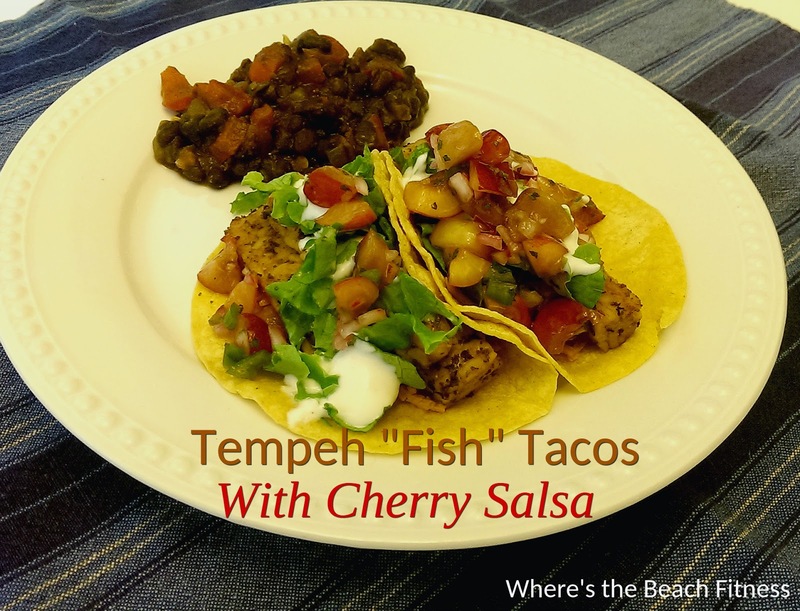 Because we enjoyed the Tempeh "Fish" Tacos from last week so much, I made them again this week. I have a feeling they'll appear on the menu quite frequently. I didn't have any cherries to make the Cherry Salsa, so I just did a quick pickle on red cabbage instead. As has been fairly typical this summer, I have been trying to sit outside in the evenings and enjoy simply being in the fresh air, not watching tv, not stuck indoors. I'll either sit outside and read or work on training plans for clients. Not a bad way to unwind after work. What's been your Move.Eat.Live. moments of the week? I haven't been moving as much as I hoped this week due to my calf issue. Living wise I'm soaking up the fresh air as much as possible. Fall is definitely on the air already!